Last year during the centennial of the National Park Service, our national parks alone enjoyed more than 330 million park visitors. Great news – right? Unfortunately, most of their visitors are white and aging. Young people are our next generation of park stewards and outdoor enthusiasts, thus it’s critical for the future of our parks and public lands to engage and cultivate this important segment of society. To address this problem, National Park Trust created Kids to Parks Day in 2011 to engage youth from diverse communities with the great outdoors. This country-wide park “holiday” is celebrated annually on the third Saturday of May, the weekend before Memorial Day. In our first year, we were thrilled to engage 18,000 participants. Little do we know that in just 7 short years, our participation would soar to more than 1 million on May 20th, 2017! What makes Kids to Parks Day hum? It’s all about the power of partnerships. Thanks to our many national collaborators and partners including the Outdoors Alliance for Kids (OAK), we’ve leveraged our combined “reach”, to engage 3.5 million youth over the years and across the country – promoting 1) education, 2) healthy outdoor recreation, and 3) environmental stewardship. Kids to Parks Day National School Contest winner Finger Lake Elementary at West Butte Trail State Park (Palmer, AK). Photo credit: Finger Lake Elementary. One notable example, this year OAK member PBS Kids’ Nature Cat heard about National Park Trust during an OAK quarterly membership call. 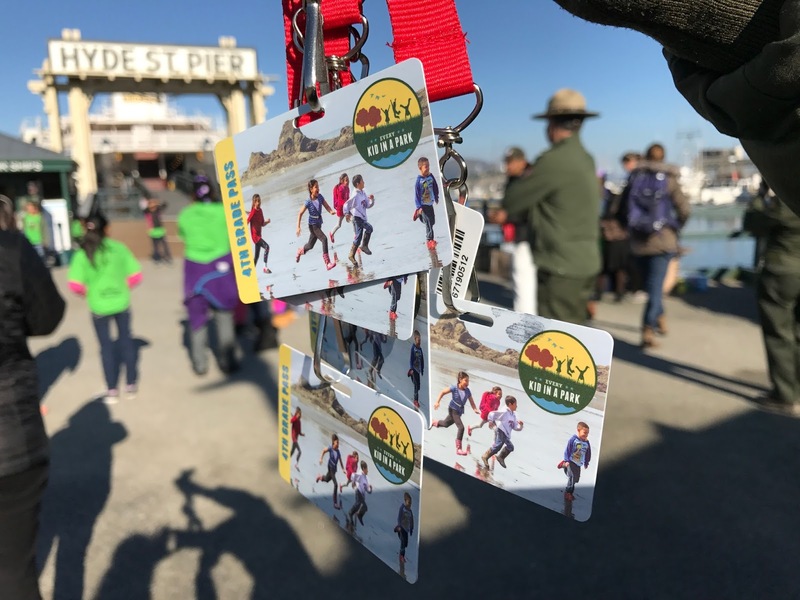 Nature Cat contacted National Park Trust and together we teamed-up (along with National Park Trust’s mascot Buddy Bison) for three signature Kids to Parks Day events at Ft. McHenry (Baltimore, MD), Constitution Gardens (Washington, D.C.) and Channel Islands (Ventura, CA). These events were three of the more than 1,700 family-friendly park programs that were available across the country on May 20th and posted on our site – many of the events were either hosted, organized, and/or promoted by OAK members! We look forward to working with OAK next year to get even more kids outdoors on Kids to Parks Day 2018 –May 19th! Kids to Parks Day celebration at Fort McHenry National Monument and Historic Shrine (Baltimore, MD). Photo credit: Chris Rief, National Park Trust. Kids to Parks Day celebration at Constitution Gardens with Buddy Bison and Nature Cat. Photo credit: Chris Rief, National Park Trust. [San Francisco] – Today, partners came together to ensure kids across America can experience our national parks and public lands. 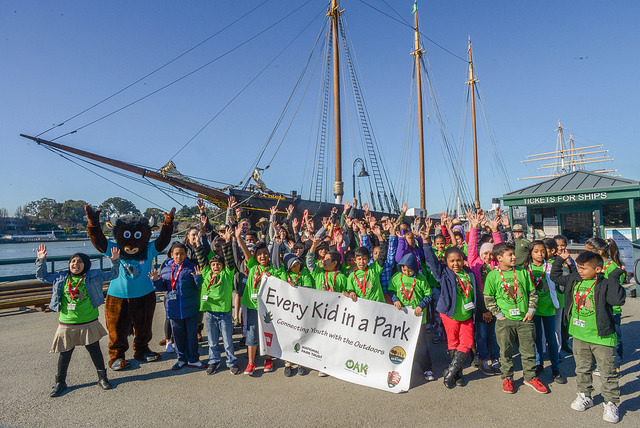 The National Park Trust, The North Face, and the Outdoors Alliance for Kids joined the National Park Service to co-host an Every Kid in a Park event at San Francisco Maritime National Historical Park for 60 fourth graders from Hoover Elementary School. 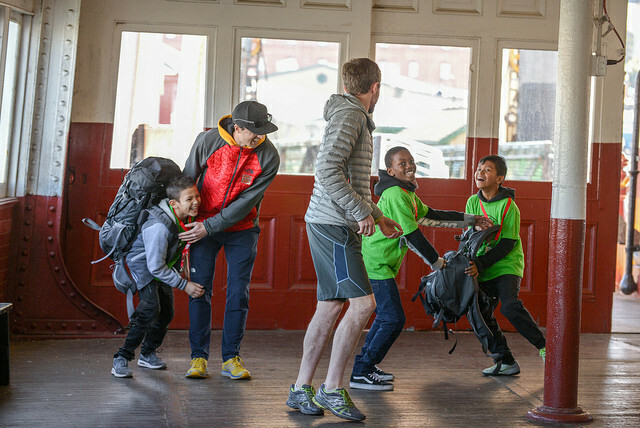 This is the third event in a special Every Kid in a Park event series hosted in five different cities (NYC, D.C, San Francisco, Boston, and Chicago), all funded by The North Face Explore Fund. The students received free passes to America’s public lands and waters through the Every Kid in a Park initiative, which seeks to connect young people with the great outdoors by granting free entry to national parks and public lands, waters and shores for all fourth-graders and their families. 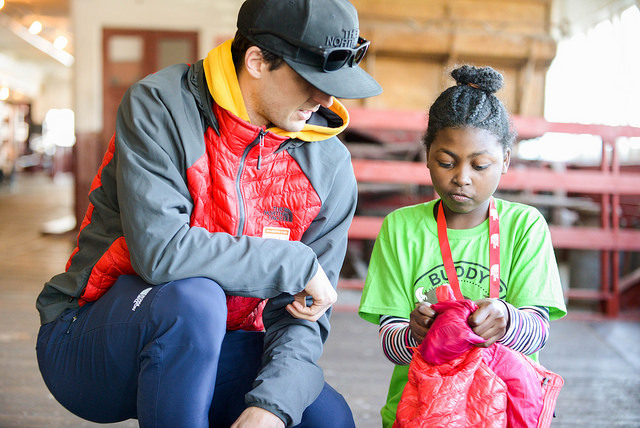 The North Face global athlete and endurance runner, Dylan Bowman, also joined the event to share his passion for the outdoors and lead activity stations. Dylan engaged the fourth graders in a fun warm up and relay race to help inspire the kids to be active and enjoy our natural playgrounds. 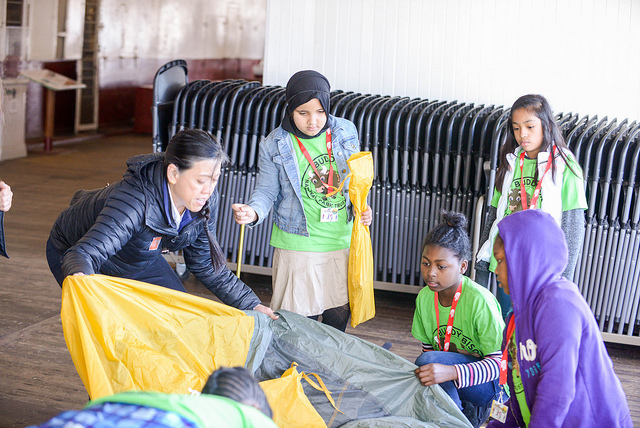 “We were delighted to work with The North Face and the Outdoors Alliance for Kids to connect local Bay-area 4th graders to the Maritime National Historical Park. They experienced a fun-filled day learning about local wildlife, history and outdoor recreation — and the importance of enjoying and preserving these special places,” stated Grace Lee, Executive Director, National Park Trust.